This top is "sew cute"! I recently picked this high low tank top up at Madewell during a sale of theirs. It's super simple but I love pairing it with brighter bottoms to create a fun look. In this look I featured this gorgeous lilac purple color. 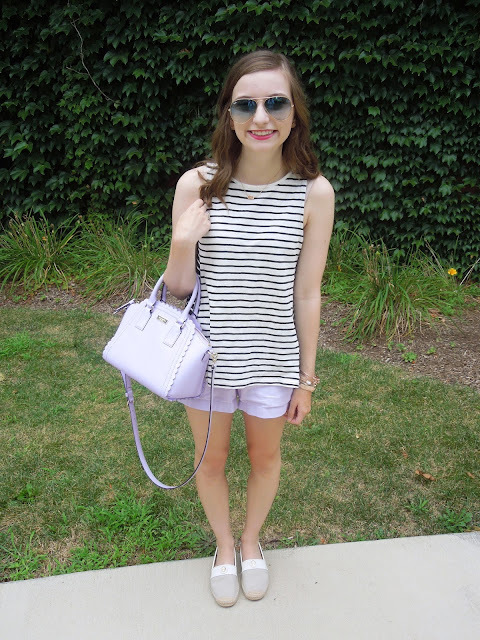 These shorts perfectly match my fun scalloped Kate Spade bag so of course I had to carry it! A casual tank and shorts is the perfect look to walk around your local downtown or to run errands. 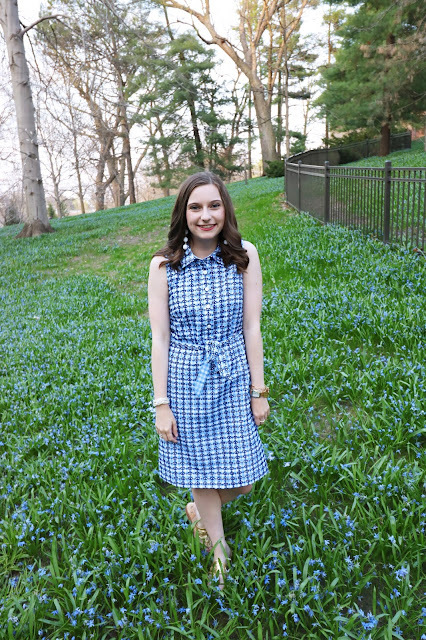 I wore these super comfy Tory Burch espadrilles that are great for walking around. Today it was so hot.... like unbearably hot! So, a tank top is a must and shorts are always a good idea. Recently the weather has been terrible, I can't wait for fall weather. Or for it to be at least 70 without 100% humidity. 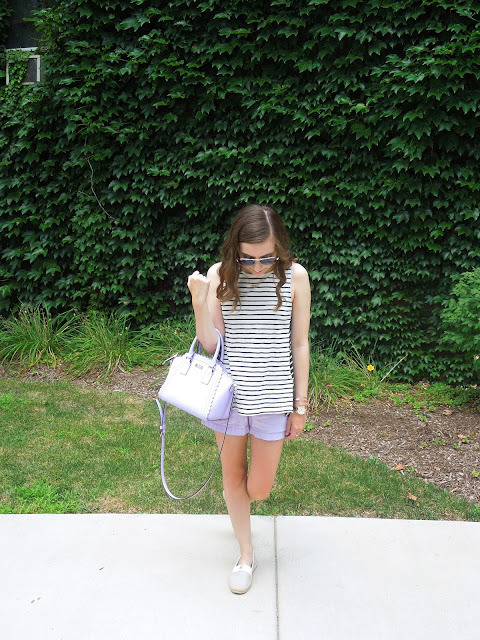 This bag has been my favorite summer bag for a while! I picked it up a few years ago but I've spotted similar styles at Nordstrom Rack if you are interested. For accessories I kept things simple with rose gold jewelry mainly from Kendra Scott. I love Kendra Scott necklaces for simple casual looks like this. But, you can also dress them up with a fun dress. What's your go-to look for running errands or walking around town? Let me know in the comments!